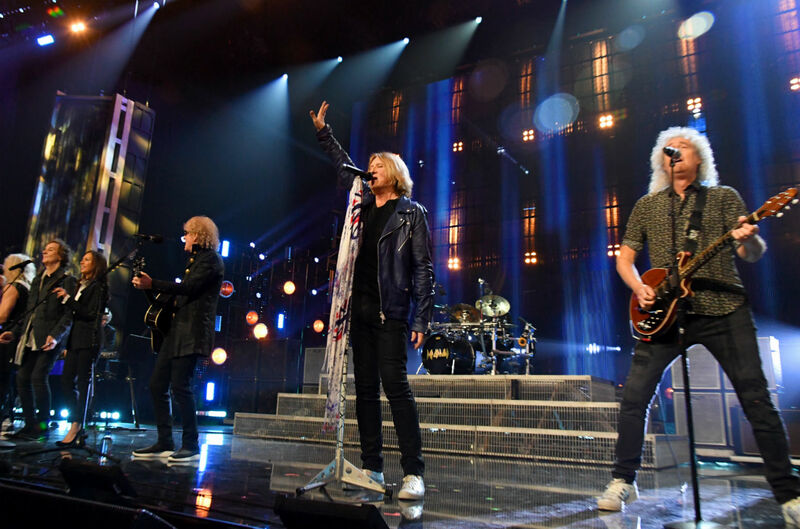 Fresh off their induction into the Rock and Roll Hall of Fame, Def Leppard led and all-star jam to close out the 2019 induction ceremony Friday (March 29) at Brooklyn’s Barclays Center. The all-star jam of Mott the Hoople’s 1972 David Bowie-penned song “All the Young Dudes” included Queen’s Brian May; the Zombies’ Colin Blunstone and Rod Argent; the Bangles’ Susanna Hoffs; “Little” Steven Van Zandt; and Mott the Hoople’s Ian Hunter. This year’s Rock and Roll Hall of Fame ceremony also included performances by Roxy Music, the Cure, the Zombies, and Stevie Nicks with Don Henley and Harry Styles.